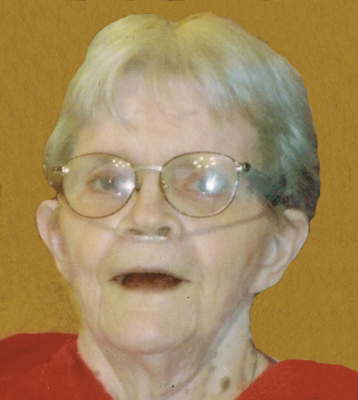 JANET (DAHLGREN) BOYER AUSTINTOWN – Calling hours will be held from noon to 2 p.m. on Wednesday at the Lane Family Funeral Homes, Austintown Chapel, where services will be held at 2 p.m. Wednesday, for Janet (Dahlgren) Boyer, 86, who passed away Sunday at Omni Manor Nursing home. Janet was born Oct. 23, 1925, in Youngstown, a daughter of Carl and Alfhild (Nyberg) Dahlgren. She graduated from Chaney High School in 1944. Janet married Norris Boyer on Feb. 29, 1948. She enjoyed making puzzles, reading and sewing. Janet is survived by her sister, June Dahlgren of Youngstown; sons Donald (Judy) Boyer of Canfield, Michael (Lisa) Boyer, and Norris Boyer Jr., both of Austintown; daughters Darlene Morell of Las Vegas and Carroll Cole of Austintown; as well as eight grandchildren; and eight great-grandchildren. She was preceded in death by her husband, Norris, who passed away Feb. 4, 1995; her parents; four sisters, Gail Dahlgren, Carol Dahlgren, Patricia Leyshon, and Marilyn Dahlgren; and three brothers, Robert Dahlgren, Carl Dahlgren Jr. and her twin brother, Jack Dahlgren. The family wishes to thank the caring staff at Omni Manor and Hospice of the Valley. Material contributions may be made to Hospice of the Valley, 5190 Market St., Youngstown, OH 44515 or the Michael J. Fox Foundation for Parkinson Research at donations@michaeljfox.org.